You were born when the moon was in one of its 8 phases, perhaps you were born at the brightest time of the moon or Full Moon Phase, or when the Moon was loosing light at the Last Quarter Phase. Each of the 8 moon phases (also called Lunar Phases because "lunar" refers to MOON) has its own personality, Soul intent and purpose. As you age, you grow both BODY and SOUL. Your Soul's growth is measured by these 8 moon phases, where you begin on the wheel and how far you have traveled along your path to your current age. Every 3 and 1/2 years (approximately) you pass through a different Moon Phase. Your Soul's TASK CHANGES according to the phase you are in. 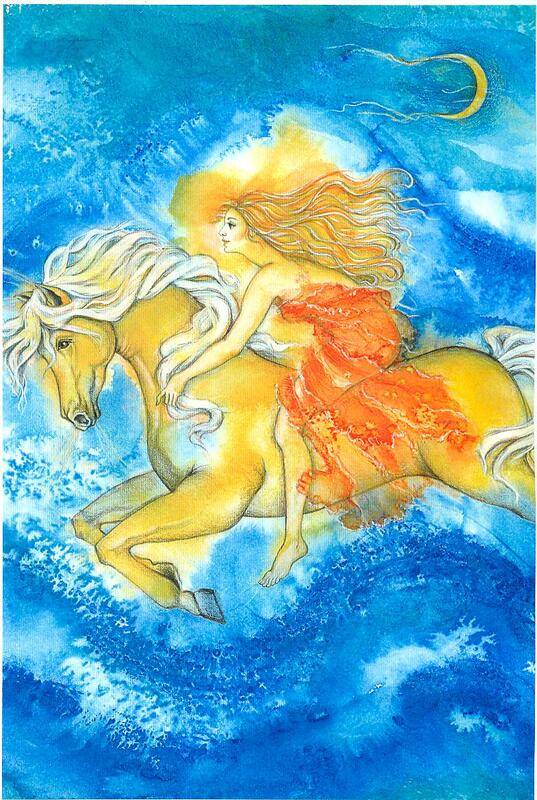 Our Soul Sistar, Sharon, has painted each Moon phase for us with the ENERGETIC that the phase encompasses. She titled this series CYCLES of BECOMING which describes the growth of your SOUL as it makes its 29 year journey around your Great Moon Cycle Wheel. You can CONSCIOUSLY PARTICIPATE in the growth of your SOUL when you pay attention to where you are on your JOURNEY. Your conscious participation gives you more CHOICES! Your awareness expands. And the more choices you have the more possiblilities you have for making decisions that will bring you PEACE OF MIND, JOY, and a HARMONIOUS FLOW to your life. You move beyond mere perception of the everychanging world (which is indeed GRAND and MIRACULOUS but not always happy or even fulfilling) to INCLUDE the VALUES, MEANING, PURPOSE and EXPANDED CONSCIOUSNESS of your greater SELF. Then your mind can ease up. Your HEART can expand its power to LOVE. 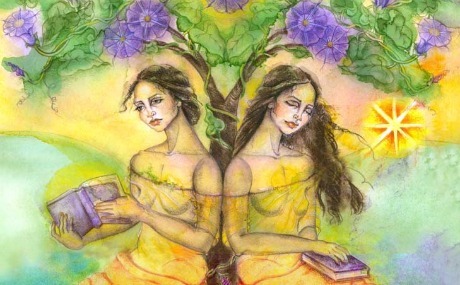 You see and enjoy your FEMININE SELF in new ways as you become closer and closer to your own Divine Nature. 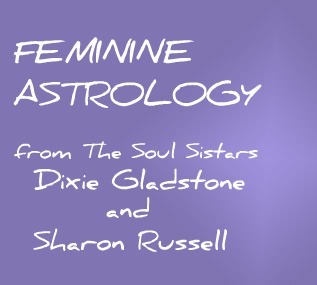 Here are Sharon's images of each of the eight moon phases of your 29 YEAR GREAT MOON CYCLE: (remember that each phase contains about 3 and 1/2 to 4 years of your complete cycle which lasts 29 years and that you are IN one of these phases NOW). "FRUITS OF LOVE AND LABOR"
The vital growing of your Soul is what is BEHIND all the ACTION in your life. Your JOURNEY in LIFE is not just to accomplish this or that task or goal or desire. There is a REASON behind what you do and a greater TRUTH to why you do it. Your comprehension of your Great Moon Cycle can expand your understanding, bring meaning and new purpose into your life. To order all 8 cards click here. I will email you when this is available if you sign up for a FREE NEWSLETTER.